Salsa, Bachata, Merengue and More!!! Join us every Sunday at this awesome place in the heart of downtown Houston. 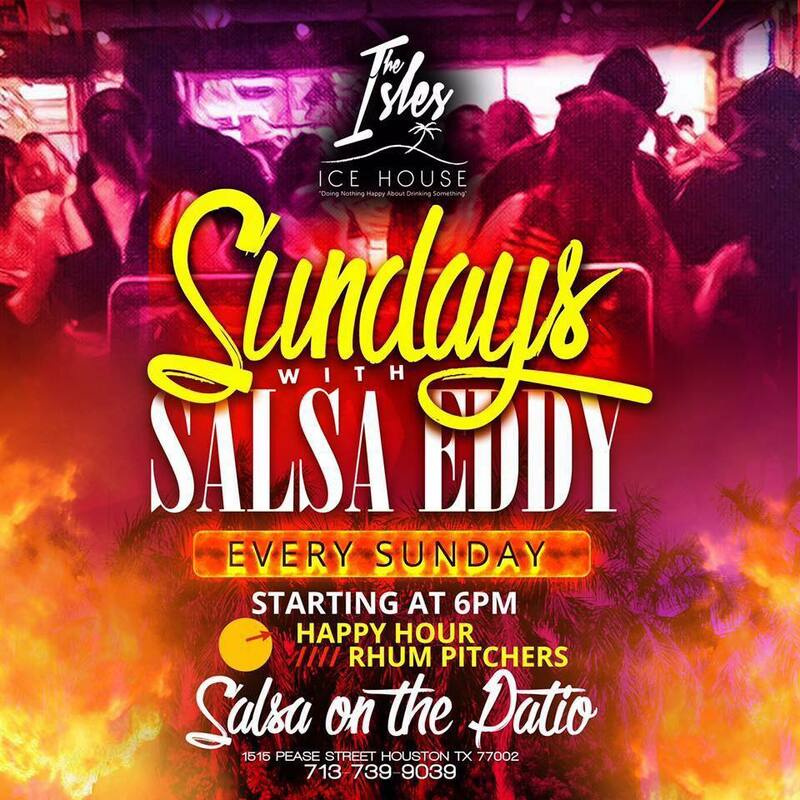 You won't find a better place to dance and meet people than at The Isles Ice House on Sunday nights. Great drink specials all night!!! Great island food as well if you want to try it, or want to be a little adventurous. DJ music is brought to you by the great Salsa Eddy. This is a very casual and non-intimidating event. All dancers are welcome at any level of experience. This is a completely FREE event. Invite all your friends and family! Please share this event with your friends...Feel free to comment below.